WHO: Singers who are unmanaged compete for $1,000 in cash and prizes. 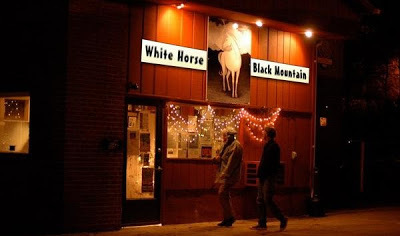 Prizes include a showcase performance at White Horse Black Mountain, professional career consultations with White Horse co-owner Bob Hinkle (former manager of J Geils Band, Harry Chapin, Etta James, Kenny Rogers, Dottie West, Manfred Mann, etc. (www.bobhinkle.com), a free demo recording in the wonderful White Horse listening room, and other prizes. Singers will fill out an application and pay a fee of $10 to compete. They will receive written feedback from judges. As part of the Great Blue Ridge Talent Search, Bob will be giving talks about the music and entertainment business to the contestants and answering their questions – essentially a free “coaching” for them. These talks will be open to the public and he also will give longer, free, career consultations to the top three winners. Potential contestants should visit http://greatblueridgetalentsearch.blogspot.com for information, or contact Bob Hinkle or Kim Hughes at (828) 669.0816. Application forms are available upon request.